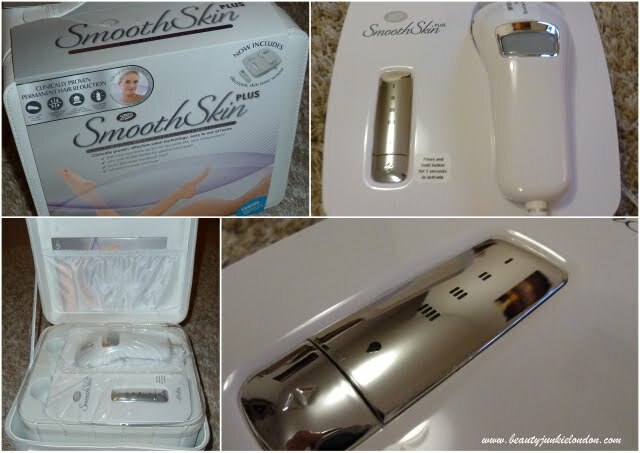 Back in June I started trying out the Boots Smooth Skin Plus machine and shared my first impressions. Over the past couple of months, I have been a little bit inconsistent with the weekly sessions, and I’ve been thrown off by holidays where I’ve skipped sessions or used other methods of hair removal – so I will be continuing now that it’s the end of Summer, with the more consistent treatments to (hopefully) get to the final result of being hair-free. But, whilst I’m not there yet I can share the results of around 5 sessions. I have noticed a significant decrease in the hair growth rate on the area I’m treating, and re-growth is definitely softer. So whilst I’m not fuzz free yet, I am pleased to be seeing results in this early stage – even in spite of how irregular I’ve been with using the machine. Again, I’ll do another update when I’ve managed to do a full 12 sessions in a row – where hopefully I’ll be hair free! Looking forward to your third review. Would love to know your final thoughts, always after a more effective, fuss-free hair removal treatment! Looking forward to see how you will get on, I’ve always felt this method was too time consuming, I use an epilator which can be painful at times, but everyone is different.